The Davis Phinney Foundation was created in 2004. Its major initiatives include: the Every Victory Counts® manual, developed by movement disorder experts to provide practical ways to live well with Parkinson’s and The Victory Summit® symposia series, which brings experts into communities to share advances in science, care and to inspire those affected by the disease to take action. Adam Ellenstein, a 39-year-old ultra-distance triathlete from Detroit, Michigan, US, completed a 105km non-stop swim in a Guinness World Record attempt to raise awareness for Parkinson’s. 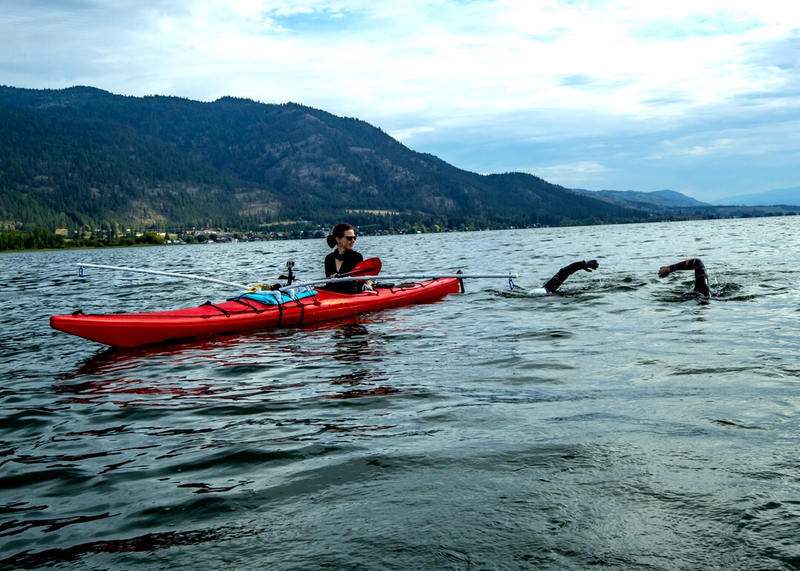 Adam’s aunt, Susan Scarlett, was diagnosed with Parkinson’s disease last year and so he came up with the idea of ‘VictorySwim105’ – which he hoped would be the ever fastest, non-stop, lengthwise swim of Okanagan Lake in Penticton, Canada. The physical preparation that Adam embarked upon began a full year before the world record attempt. His training included weekly open water training swims of up to six hours each. Though weather conditions were nearly ideal throughout Adam’s two-day swim, he battled colder-than-anticipated water temperatures and growing fatigue in his left shoulder. “We had estimated that Adam would take approximately 60,000 strokes during the swim,” said Adam’s wife and ‘crew chief’, Amelia Ellenstein. To keep him warm in water that ranged from 16.7°C to 21.1°C, his crew poured hot water into his wetsuit, and he consumed warm liquids and food – which included freshly-made pancakes and a strawberry and cafe latte. Adam was aiming to set a new Guinness World Record – an official adjudicator must still evaluate evidence, including videos, photos, independent witness statements and GPS tracking information, to verify and confirm the achievement. 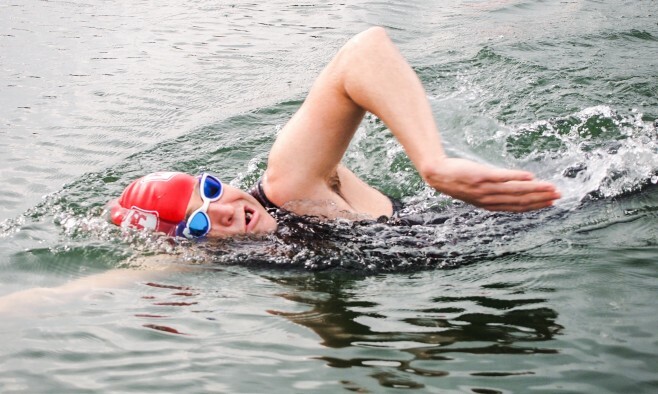 The swim was in support of the Davis Phinney Foundation, which funds research into the importance of exercise and its impact on quality of life for people with Parkinson’s. Adam stepped out of the water to the cheers of a 200-strong crowd at SS Sicamous Heritage Park at 22:46 Pacific Daylight Time (PDT), having completed his swim in a time of 40 hours and 57 minutes. “The swim exceeded my expectations and it is all because of my crew,” Adam said. “My job was to swim and eat – the crew did everything else.